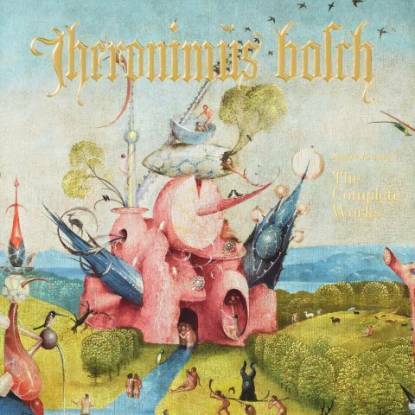 Delicious demons, nightmare creatures, and atrocious angels; no painter has come close to the fantastical schemes of Hieronymus Bosch. 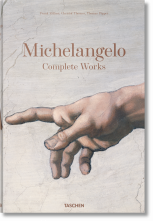 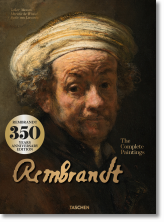 This enormous publication presents his extraordinary works in suitable scale, showcasing both their compositional magnitude and cryptic details. 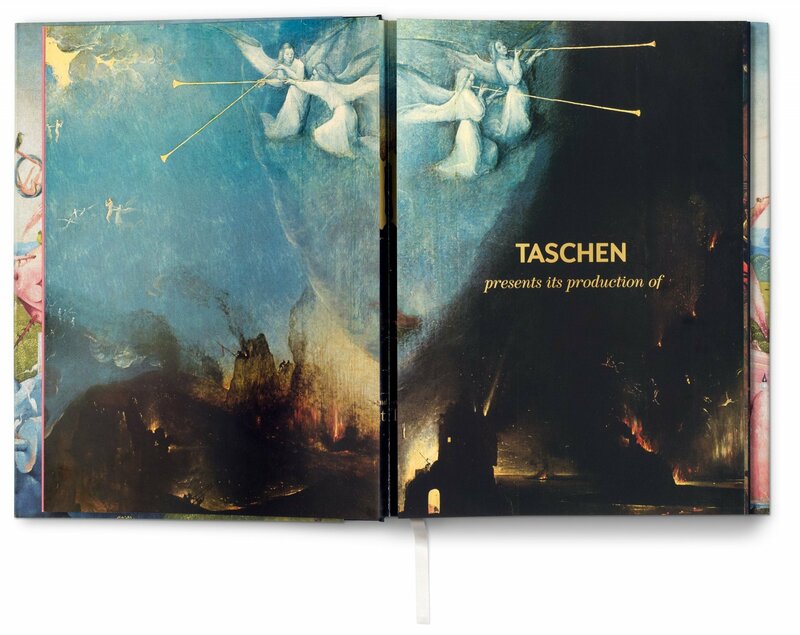 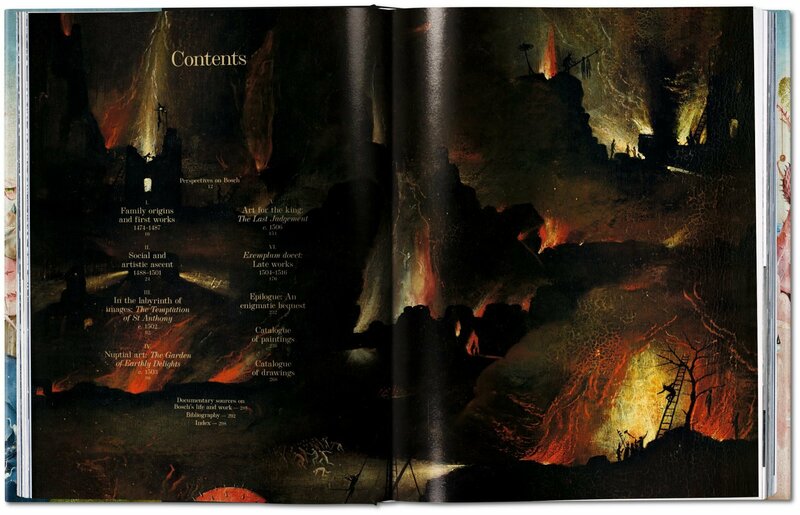 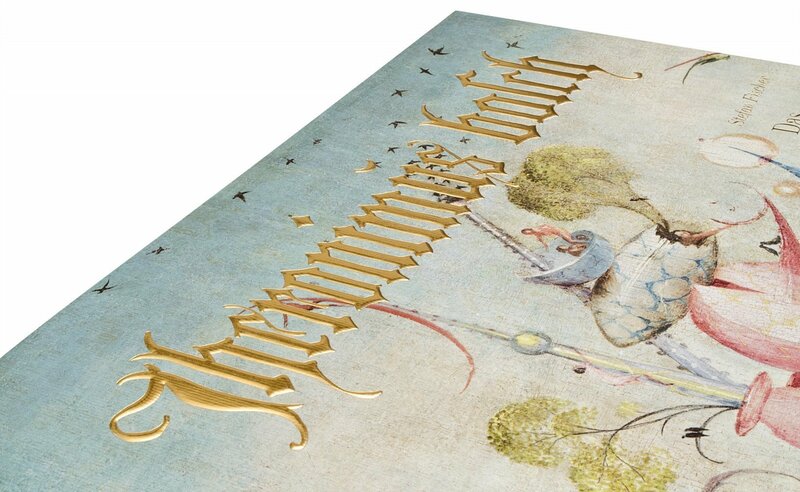 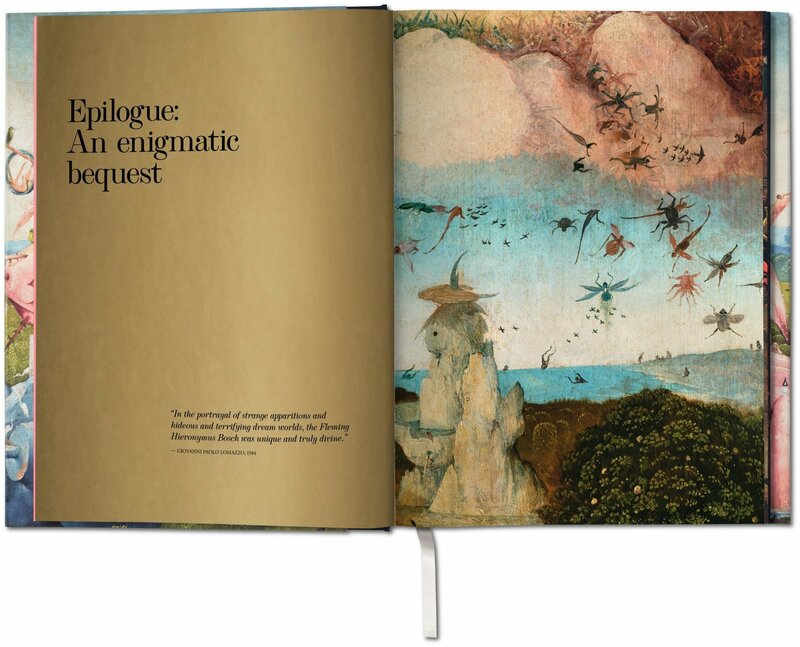 Delve deep into the artist’s complete works, through fresh photographs of recently restored paintings and magnificent fold-out spreads of The Last Judgement and The Garden of Earthly Delights. 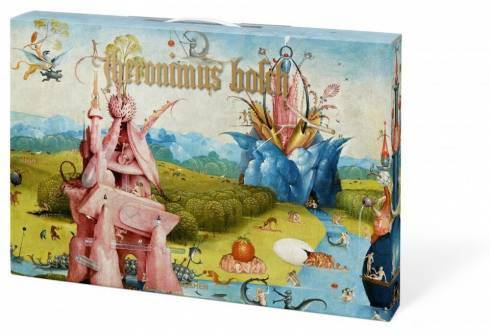 In the midst of the realist-leaning artistic climate of the Late Gothic and Early Renaissance, Netherlandish painter Hieronymus Bosch (c. 1450–1516) was more than an anomaly. 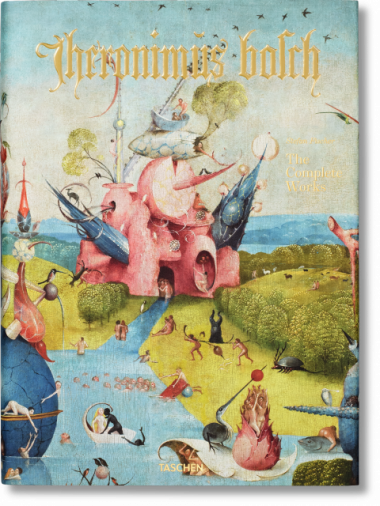 Bosch’s paintings are populated with grotesque scenes of fantastical creatures succumbing to all manner of human desire, fantasy, and angst. 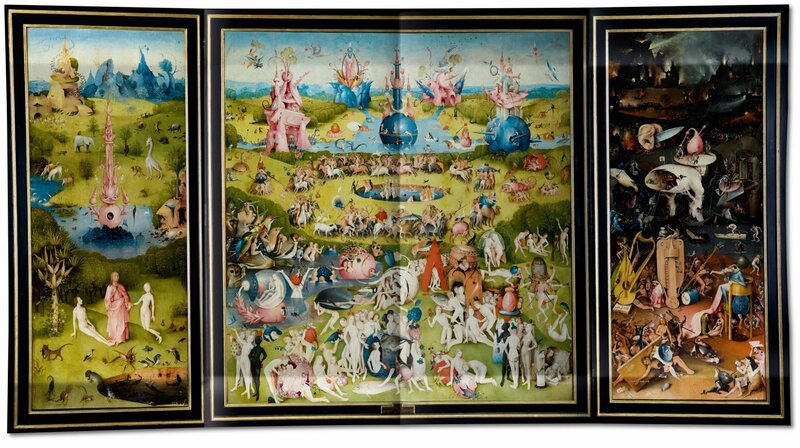 One of his greatest inventions was to take the figural and scenic representations known as drolleries, which use the monstrous and the grotesque to illustrate sin and evil, and to transfer them from the marginalia of illuminated manuscripts into large-format panel paintings. 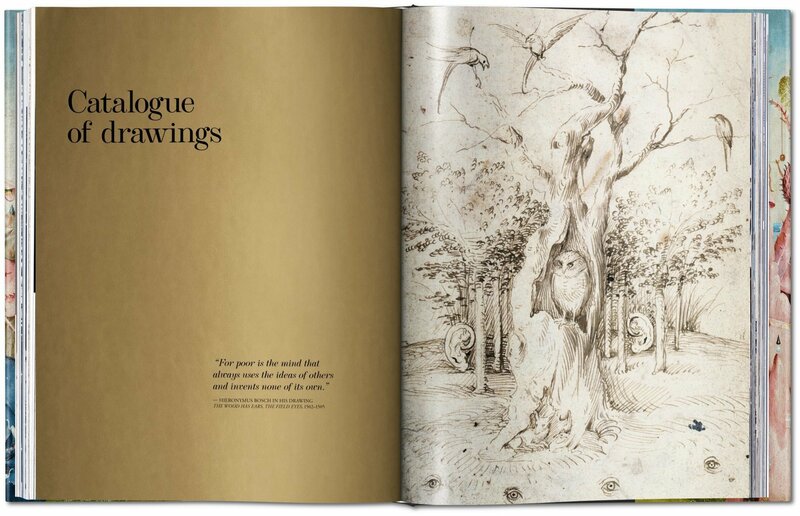 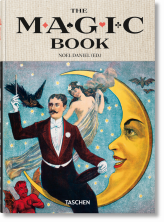 Alongside traditional hybrids of man and beast, such as centaurs, and mythological creatures such as unicorns, devils, dragons, and griffins, we also encounter countless mixed creatures freely invented by the artist. 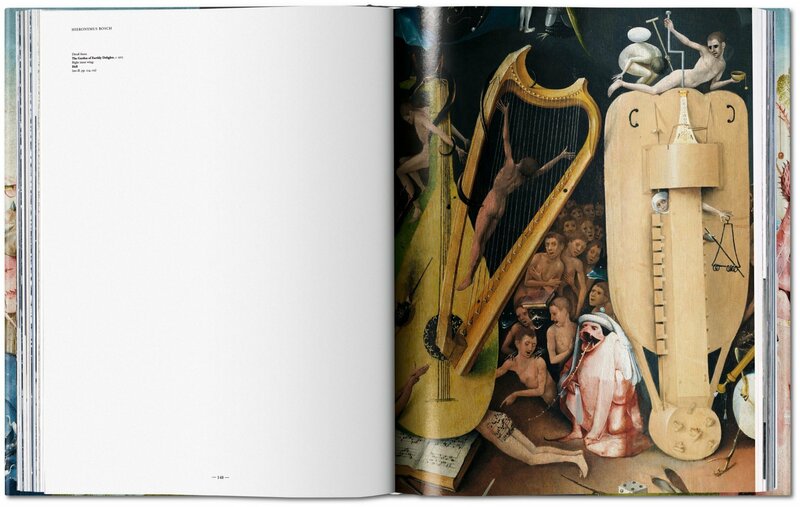 Many subsidiary scenes illustrate proverbs and figures of speech in common use in Bosch’s day. 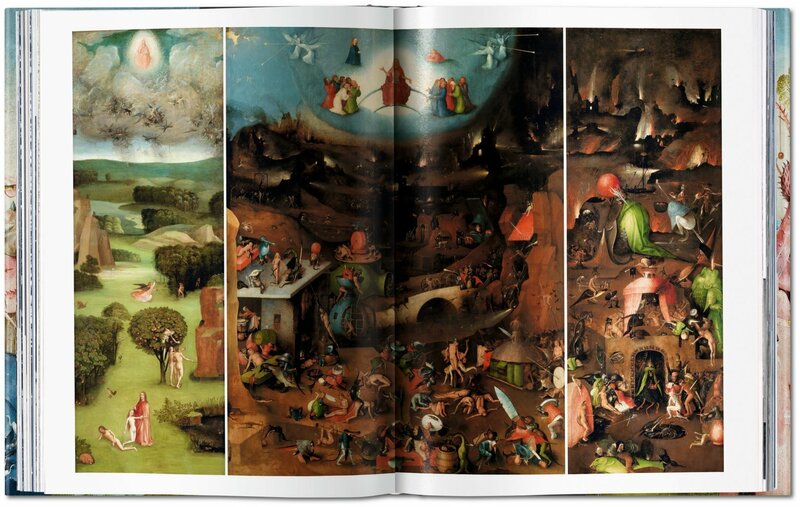 In his Temptation of St Anthony triptych, for example, the artist shows a messenger devil wearing ice skates, evoking the popular expression that the world was “skating on ice”—meaning it had gone astray. In his pictorial translation of proverbs, in particular, Bosch was very much an innovator. Bosch—whose real name was Jheronimus van Aken—was widely copied and imitated: the number of surviving works by Bosch’s followers exceeds the master’s own production by more than tenfold. 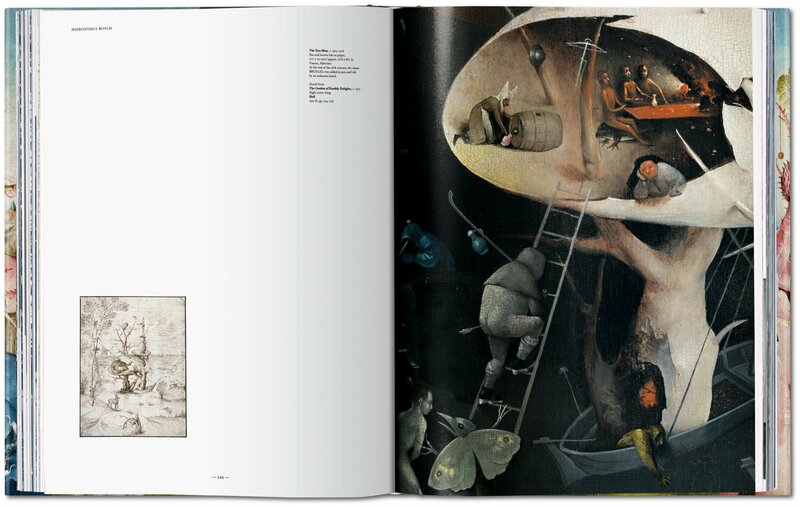 Today only 20 paintings and eight drawings are confidently assigned to Bosch’s oeuvre. He continues to be seen as a visionary, a portrayer of dreams and nightmares, and the painter par excellence of hell and its demons. 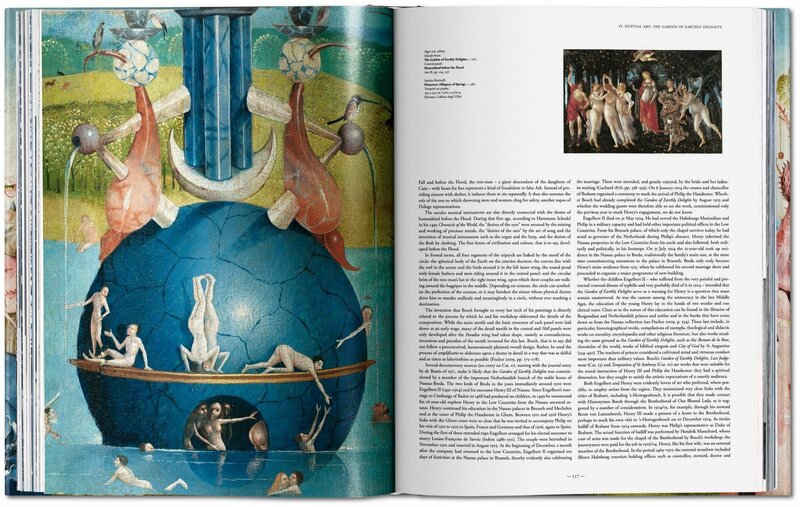 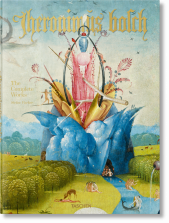 Featuring brand new photography of recently restored paintings, this exhaustive book, published in view of the upcoming 500th anniversary of Bosch’s death, covers the artist’s complete works. 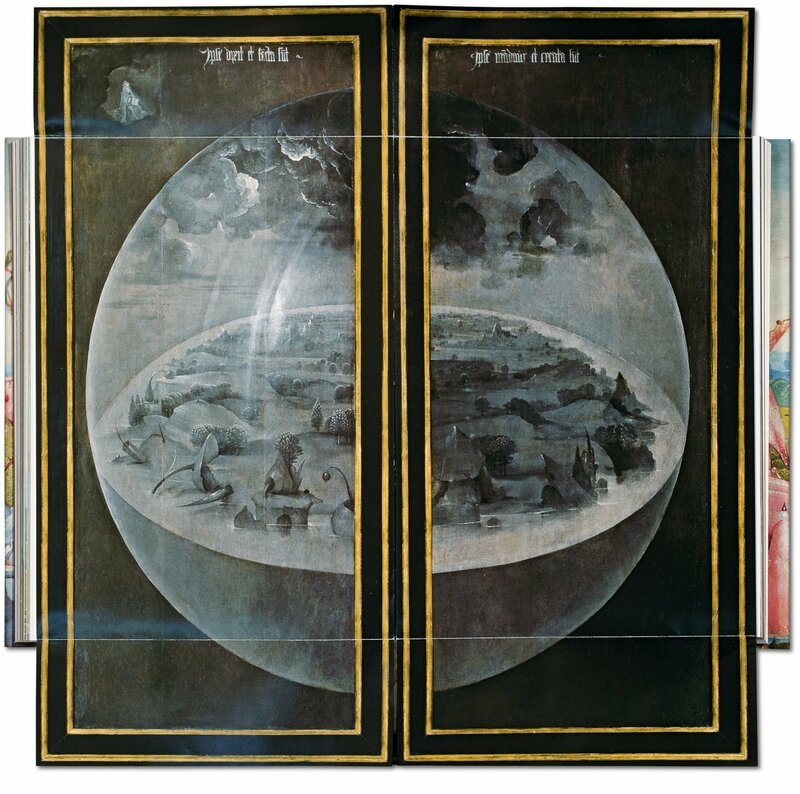 Discover Bosch’s pictorial inventions in splendid reproductions with copious details and a huge fold-out spread, over 110 cm (43 in.) 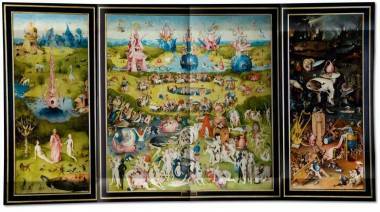 long, of The Garden of Earthly Delights. 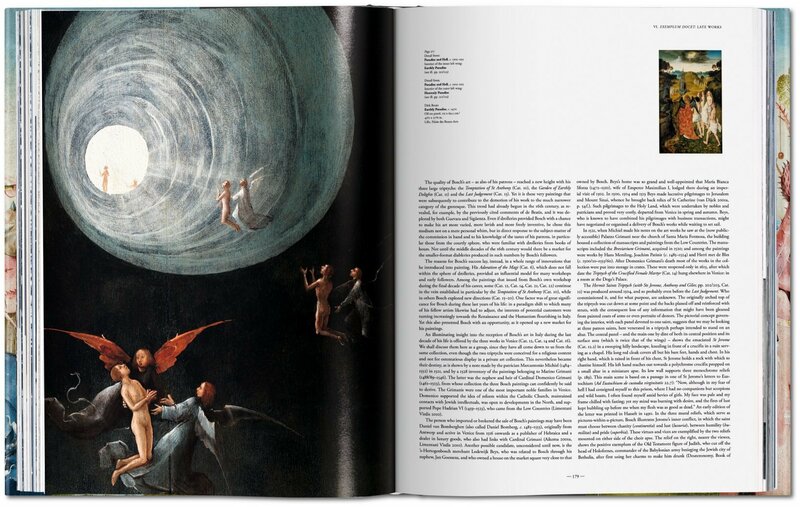 Art historian and acknowledged Bosch expert Stefan Fischer examines just what it was about Bosch and his painting that proved so immensely influential.